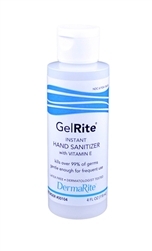 GelRite Instant Hand Sanitizer is a 65% Ethyl Alcohol hand sanitizer with vitamin E. It is easier on the hands than most hand sanitizers on the market. 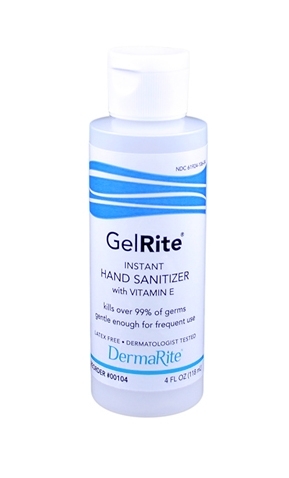 GelRite kills 99% of harmful bacteria, which makes it a perfect choice for use an a health care personnel hand wash. It provides fast acting broad-spectrum antimicrobial activity. The soothing rich emollients help to keep hands soft, even after repeated use. It does not leave sticky or tacky residue.